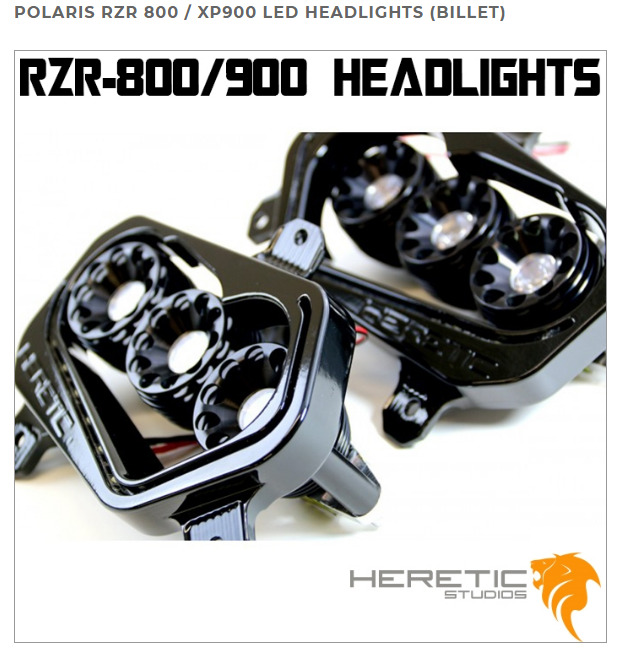 Heretic Studio's best selling LED headlights (Polaris RZR 800/XP900) give your RZR more than an upgraded look, they are an upgrade in lighting performance. 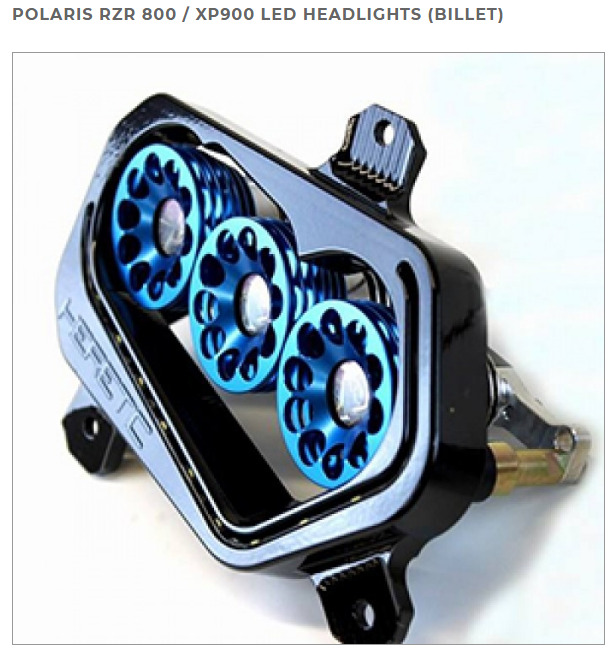 Our lights are nearly double the output of the stock LED headlights and just as reliable. Each set feature custom colored (blue, red, white, green etc.) 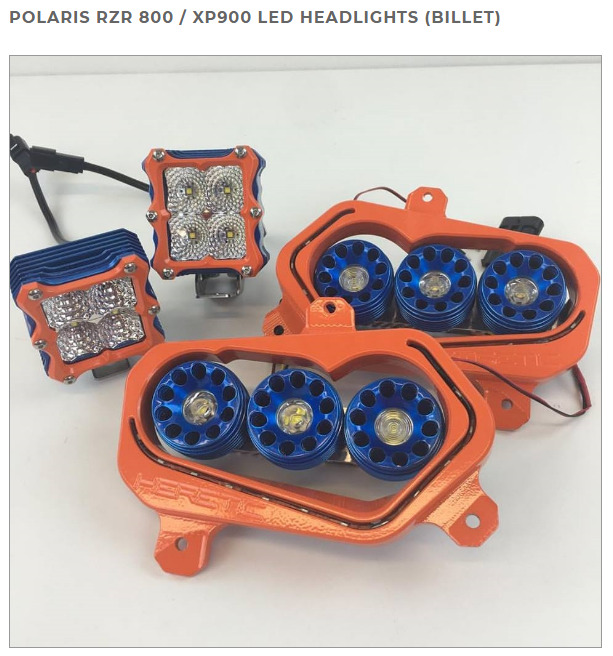 LED halo running lights, low and high beams. Adding premium performing lighting has never been easier; simply remove the stock unit, bolt in your new Heretic high-performance LED upgrade and hit the trail.